The University of Mount Union will host the Senior Art Exhibit in the Sally Otto Gallery April 17 through May 12. 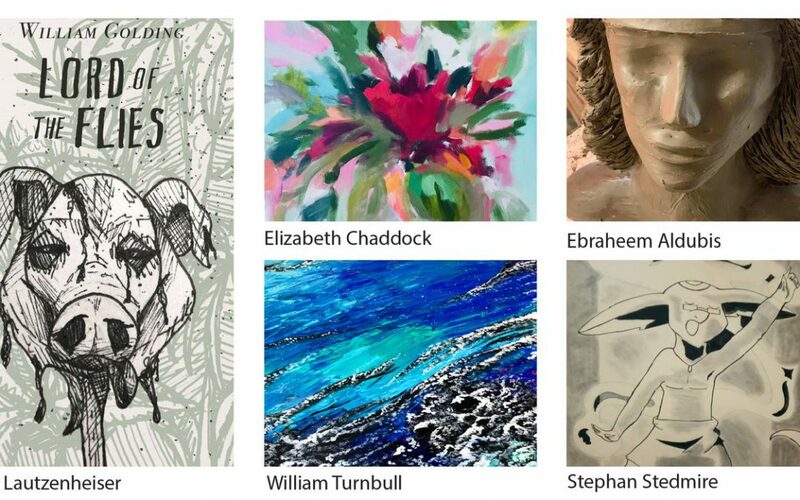 An artists’ reception will be held from March 27 from 1-4 p.m. The exhibit includes works in various media from five Mount Union seniors. Ebraheem Aldubis, from Riyahd, Saudi Arabia, is double majoring in Art (Studio Concentration) and Computer Science-Information Systems. Elizabeth Chaddock, from Minerva, Ohio is an Art Major with an Art Education Concentration. Lisa Lautzenheiser is from Louisville, Ohio. Her major is Art with a Graphic Design Concentration. Stephan Stedmire, from East Cleveland, is majoring in Art with a Studio Concentration and William Turnbull of Silver Lake, is majoring in Art with an Art Education Concentration. The Sally Otto Gallery is in the Giese Center for the Performing Arts. The exhibit and reception are both free and open to the public. For more information regarding this exhibit, please contact the Gallery Coordinator, Carol Opatken at (330) 823-4968 or opatkec@mountunion.edu.